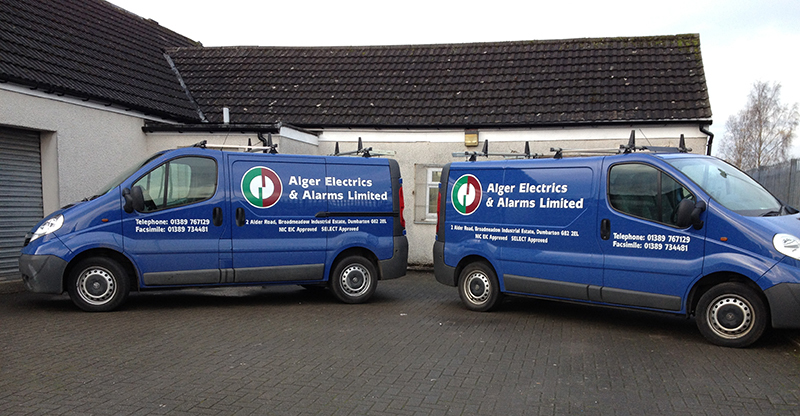 Alger Electrics and Alarms Limited started out with Gerrard Devoy as a sole trader in 1979 with the ambition to provide an electrical service that works to a high standard and provide the customer with a consistent quality service. Over the years a reputation has been established on this basis and the Company grew from a Sole Trader to the present day Limited Company often employing between twelve and twenty employees. Mr Devoy has subsequently retired and now the business is managed by his two sons Gerrard and Michael and his daughter Linda. The family have been introduced to the business with the same standards and both Gerrard and Michael have gone through their training with the SJIB in conjunction with SELECT. Alger Electrics and Alarms always employ SJIB rated electricians and the work is carried out to the NIC EIC standards as the Company has a long established membership with that body. With regards to our customer service it is our number one priority and over the years we have been very fortunate to build excellent relationships with our customers. If we were asked what the main criteria is for good customer service we would break it down into trust, respect and going that extra mile. Trust in our eyes is shown to our customers by respecting their time constraints and how our workmen treat their property while on site. Respect also comes into the working conditions given to our employees by providing many additional benefits. Finally going that extra mile with the nature of our business our work cannot always be pre- arranged and emergency work comes to us regularly. Our customers know we will always prioritise and make sure they are kept informed when routine and emergency work occurs. We as a Company are proud of our achievements and aim to continue building the business with our main aim of providing excellent customer service, after all, if we did not have good customer services we would not be here thirty five years later.